M.E.C.’s wide flare corrugated conical horn antennas produce nearly constant and equal E and H-plane beamwidths over broad frequency bands. Beamwidths can range from 20 to 70 degrees. These units also feature very low side and cross polarized lobes and low internal losses. 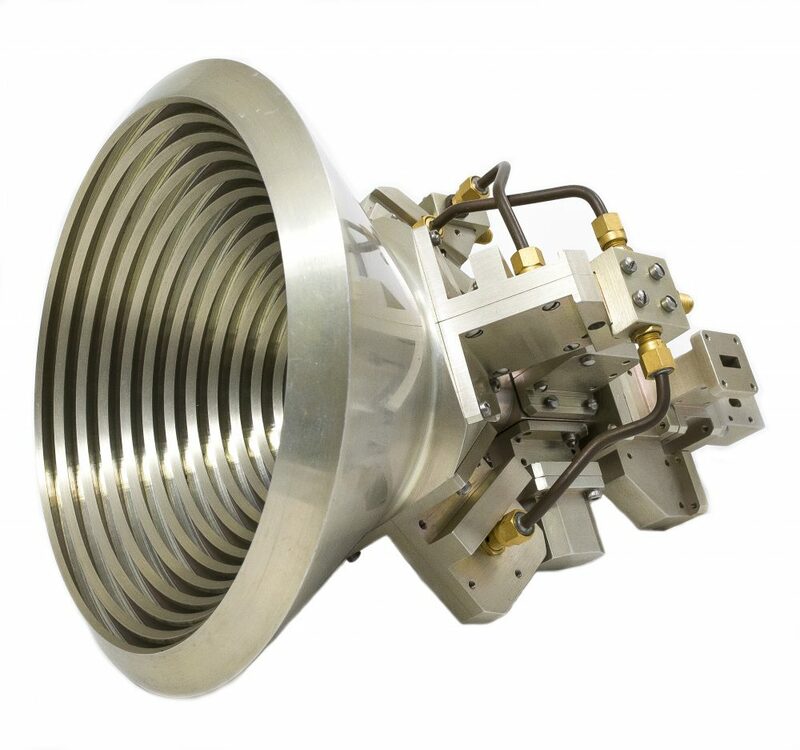 M.E.C.’s narrow flare corrugated conical horn produces frequency dependent, equal E and H-plane beamwidths over an octave beamwidth. Beamwidths can range from 7 to 40 degrees. The corrugations in these horns modify wall impedance to excite a hybrid mode (HE11) and produce an aperture field nearly identical in all planes. Due to their circular symmetry, these horns support any polarization. Type 1: Linearly polarized with a step transition to rectangular waveguide input. Type 2: Incorporates an orthomode transducer for dual polarization operation. Type 3: Linearly polarized narrow flare horn which can operate over an octave band. Type 4: A dual-frequency unit employing a separate orthogonal input for each frequency. 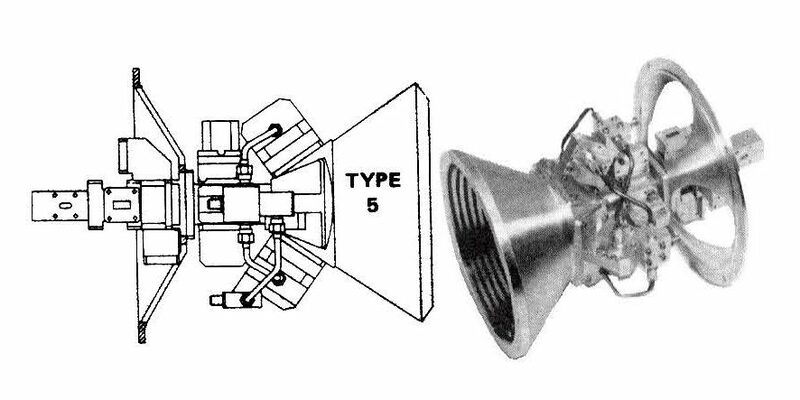 Type 5: Space-qualified multi-frequency horn operating with dual linear polarizations in narrowband channels at widely separated frequencies. Beams from all ports have nearly equal 10 dB widths, which are ideal for secondary aperture illumination in multi-channel systems. All frequencies and polarizations are isolated from each other and the insertion loss is low.